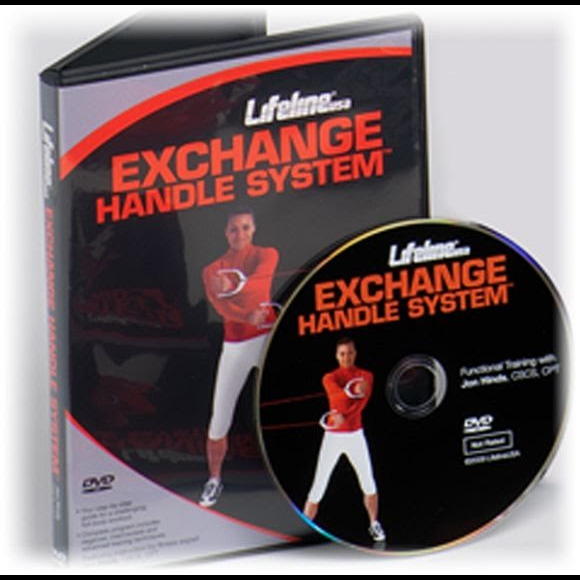 Work every major muscle group with one simple piece of equipment - the Lifeline Exchange Handle System. Jon Hinds, one of the country's leading functional fitness trainers, takes you through a challenging set of exercises that will strengthen and define every major muscle group in your body with one simple piece of equipment. Work every major muscle group with one simple piece of equipment - the Lifeline Exchange Handle System. Jon Hinds, one of the country&apos;s leading functional fitness trainers, takes you through a challenging set of exercises that will strengthen and define every major muscle group in your body with one simple piece of equipment. Get started today and start enjoying the benefits of full-body fitness with the Exchange Handle System.